“U stissu sangu” is not a movie, but a tale. The tale of how the word “journey” can become “hope”, and of how the perspective of a world can change, if you look at it from one side of the Mediterranean or another. 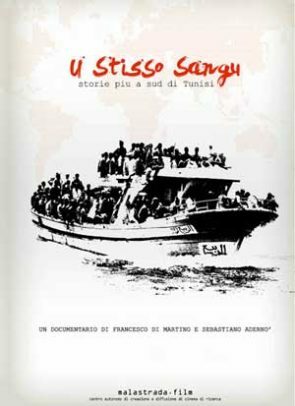 “U stissu sangu” tells the tragedy of the immigrants coming to Sicily with their own words, their gazes, their stories. From the disembarkation to reception centres, to uncertainty, fear and humiliation, the modern odyssey begins comes from the desperation and the dreams of men and women, to clash with bureaucracy and, even worse, with the culture of a world that can often forget that we all have the same blood. A human being, a person, becomes a “clandestine”: a problem that need laws, checks and searches that leave not just ink of the fingers, but a deep sense of humiliation. No same blood, a human’s not human anymore.